The release of Google+ has made Facebook crazy. With potential competition capable of stealing its users away, Facebook had to do something and out comes a slew features. With better accessibility functions such as Automatic sorting of people into lists on the basis of something in common, i.e: Workplace, Location . They also announce the release of Facebook Timeline to all its users on September 30, 2011[Now available to developers only.Click if you want it NOW].So what is this Timeline? The Timeline is essentially a replacement for your profile page which is now in a hierarchy of every single social activity of your Facebook account since your birth!, Additional features include Cover. I feel that the cover is just another decorative feature but it has great potential to advertise your views like showing support for football teams. And then you have your regular profile picture in a smaller box. And all this bundles up into a major update in the Facebook Design sector. 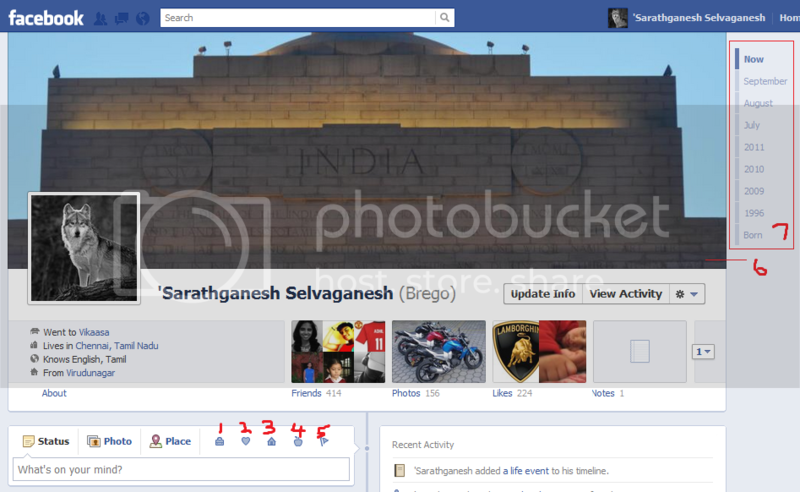 The Timeline and other updates make Facebook a whole new experience. I like it, The Developers like it and I'm sure you'll like it too. Facebook's official page for the Timeline release. This entry was posted on October 4, 2009 at 12:14 pm, and is filed under Facebook . Follow any responses to this post through RSS. You can leave a response, or trackback from your own site.